In the end I did get through each assessment without any real issues other than not listing enough assets in the Design Document. I found that I had to do quite a bit of development while designing however due to not using UDK thoroughly enough in the past and not knowing what assets I had at my disposal. 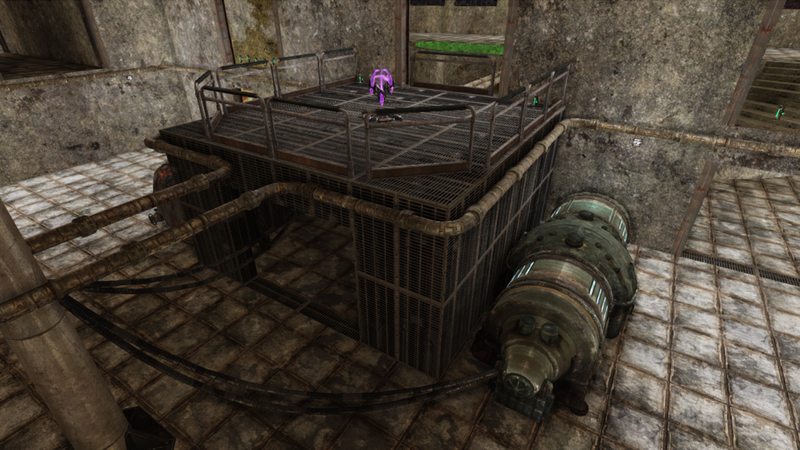 The screenshot shows what I have called the “power room” for the environment design that I worked on for the level. On top of the power room is an ultimate damage which involves a little difficulty in getting to, with several paths, but each one putting you out in the open making you an easier target.